A winner of Skytrax World Airline Award as a 5-star airline in 2012 and 2013 as well as the World’s Best Cabin Staff Award also by Skytrax 7 out of 11 times since 2001, Malaysia Airlines (MAS) has always been a darling of many travellers. 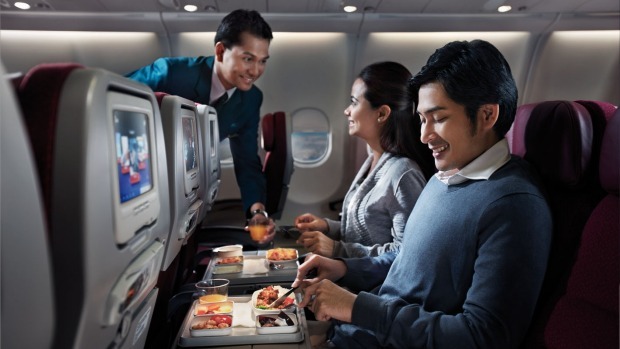 Not just for the comfortable aircraft and mouth-watering food onboard but for their exemplary service and hospitality which is now famously known all around the world as “Malaysian Hospitality” - a play on the MH code of the national carrier. Malaysia Airlines’ main goal is to create memorable experiences that goes beyond airline travel for everyone and to inspire them to see the world differently. Let me share my take on Malaysian Hospitality during my flight to Melbourne from Kuala Lumpur last month which was booked via Traveloka Malaysia. Fun tip, you can get a pretty good MAS online promotion with Traveloka. Nothing reassured me more on my 8-hour flight than the genuine smiles plastered across the faces of the cabin crew as passengers were boarding. The warm “Welcome Aboard” or in the local Malay greeting, “Selamat Datang” filled up the cabin during boarding. Tickets were checked one-by-one at the door for the crew to direct passengers to their respective seats. The elderly and adults with infants were given significant attention as they were escorted and assisted by the crew to their seats. 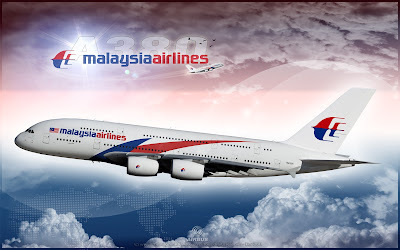 A common sight to be smiled upon over and over while travelling with Malaysia Airlines. I was seated in the Economy class and the meal service began its course. Children and those with special meal request were given priority to be served first. I admired how the crew interacted with children from my observation at the row next to it, giving the little ones a sense of comfort in the flight. Moments later, the serving steward was ready to serve my row and he read out the available meals for the day. I didn’t quite catch the menu and had to ask him to repeat. I honestly felt bad for wasting his time to repeat but he gladly did it with a smile. After meal, the crew made a quick second round of drinks. When a particular drink on the cart ran out, they would immediately rush to the galley or had their colleagues to help replenish so that passengers were able get what they wanted. 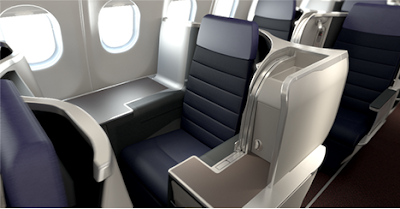 At the same time, crew were also collecting finished trays as quickly to allow passengers to unwind. The lights slowly dimmed and seats were being reclined. I didn’t take my rest immediately but instead, indulged in some movies on the inflight entertainment system. As a stewardess was making her rounds to check on passengers, she noticed I was still awake. She approached me and asked if I wanted any more drinks or peanuts. I told her I was all good. A few good minutes later, I was taken completely by surprise when she returned with a few packets of peanuts and a cup of orange juice. To quote the pleasant stewardess, “in case you feel like munching on something while enjoying your X-Men movie.” I was touched with the thoughtful gesture and gave her a heartfelt thank you. The crew took turns in making their rounds to make sure all passengers including children and infants were feeling cosy in their seats. Children who were still awake could get bored easily so the crew handed them some activity books or games to keep them occupied. I was still awake when I noticed a steward assisting an elderly man (who I assumed was travelling alone) to get up to go to the lavatory. The steward kindly led the man all the way and even waited for the man to finish then led him back to his seat, reassured the man that the crew was just a button away if he needs any assistance. The crew also went the extra mile to ask mothers with infants if they needed help although they weren’t travelling alone, which I thought was extremely courteous. These were the faces of Malaysia Airlines who went to great lengths to ensure passengers like me had a safe and smooth-sailing journey to my final destination.